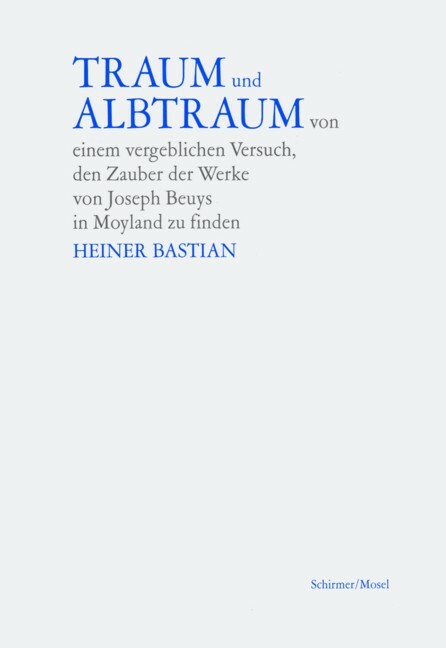 Explicitly calling it a pamphlet, art collector, curator, editor, and long-time collaborator of Joseph Beuys’ Heiner Bastian denounces the inadequate conditions under which the Beuys oeuvre is presented and preserved at Moyland Castle in North Rhine-Westphalia. A case study in the current discussion on how to present contemporary art in public institutions. German text. Schirmer/Mosel. German edition. 36 pages, 6 colour plates, 12.5 x 18.5 cm.